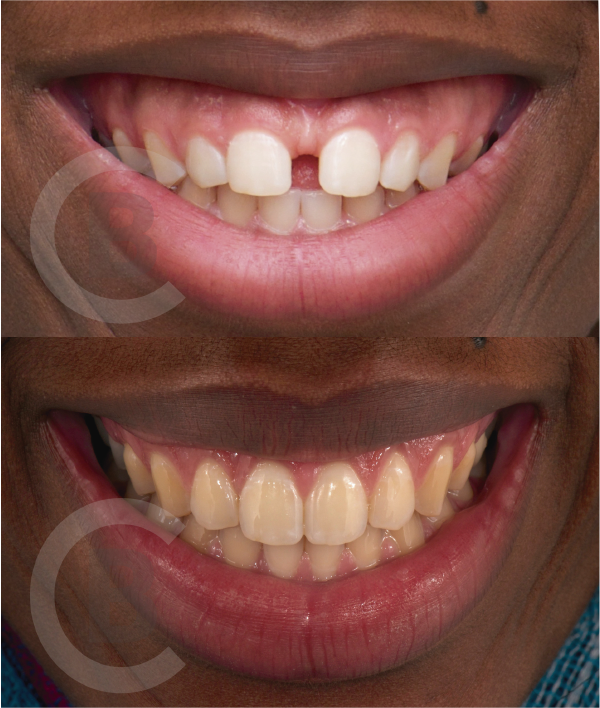 Diastema, is the scientific word, commonly called ‘the gap between the teeth’. This happens when there is a disproportion between the size of the jaw and the teeth. Most commonly, it is located between the two front teeth of the maxillary area. This may be more of an aesthetic problem for those who suffer from it, and it has a highly recommended solution, which is orthodontics. Orthodontics is the specialty that focuses on the diagnosis, prevention and treatment of dental, skeletal and facial irregularities. Align the teeth and improve the bite. On the one hand, by placing the teeth in the right place, it makes it easier to chew, and even breathe better. And another part, aesthetics. At Blasi Clinica Dental Barcelona we want to help you get the best version of your smile, with our specialized treatments.